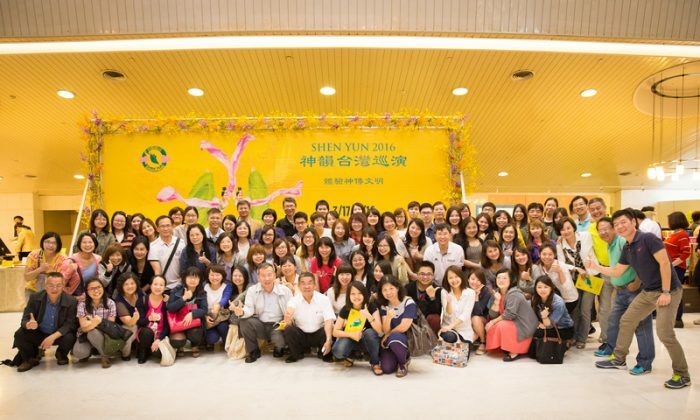 TAICHUNG, Taiwan—Stunned by performances in the past two years, Chang Chih-Sheng, CEO of an accounting (CPA) firm, was back to see Shen Yun Performing Arts on April 9. And this time, he invited over 100 employees to join him. 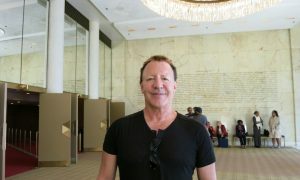 “Even just seeing it once makes your life worth living,” he told his employees, hoping they would bring their relatives and friends to see Shen Yun’s performance to benefit more people. Even just seeing it once makes your life worth living. 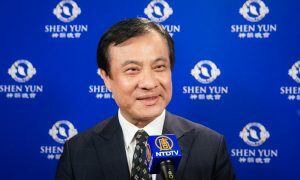 “It’s quite meaningful for a boss to invite his employees to see Shen Yun as it will definitely bring the company prosperity,” said Mr. Chang’s son, an auditor in his father’s company. Lan-Jai CPA Firm has branches around Taiwan with 12 certified public accountants and about 150 employees. Shen Yun is a rarity due to having various art forms in one performance. A Shen Yun dance piece combines vibrantly-colored handmade costumes, intricate choreography, and the professional skill of world-class dancers. Mr. Chang praised the female dancers, who with their long sleeves were like goddesses descending to the human world. “In this piece, dancers use fans to mimic the scholar’s brushes as they write with elegant strokes. Behind them appear the words to the anthology’s preface, now considered one of the greatest works of Chinese calligraphy,” the program notes. The live Shen Yun Orchestra accompanying the dancers amazed Mr. Chang as well. “It has many traditional Chinese musical instruments in the orchestra,” he said and called the music refreshing. 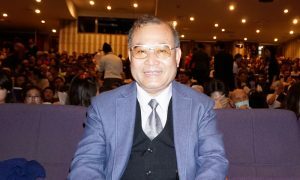 Mr. Chang was also attracted by Shen Yun’s innovative high-tech animated backdrops which extend the stage and transport the audience to the realm beyond time and space. “The backdrop is really miraculous.” He said it looked like that the characters “could fly out of it to the real world [on the stage], and then fly back to different worlds” created by the backdrops. Mr. Chang was worried that the rich Chinese cultural heritage will disappear in the next generation. “Young people nowadays do not quite learn or understand traditional Chinese culture, which is also less and less written about in the textbooks,” he said. 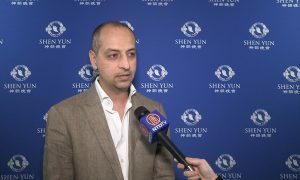 As New York-based Shen Yun aims to revive 5,000 years of Chinese culture, Mr. Chang thinks that just seeing it will uplift modern people’s mind, body, and soul. “Classical Chinese dance has a long history of thousands of years, and while soaking up profound wisdom from every era and dynasty, it has become a complete system of dance, embodying traditional aesthetic principles,” says Shen Yun’s website. 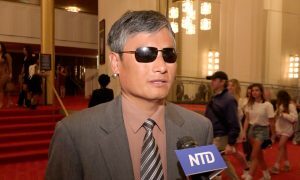 He thinks Shen Yun is a real artistic and cultural feast, something to treat and benefit his employees. “Our job as certified accountants is very boring and stressful,” he said. “I hope they can reach a balance in mind and body” through seeing Shen Yun’s performance. Mr. Chang’s son, an auditor, shared his father’s insights. 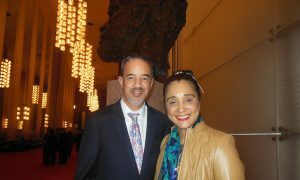 “When seeing Shen Yun, I was in quest of my real self. My mind became peaceful,” he said. 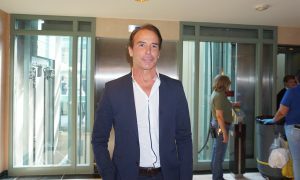 As a young man, the younger Chang was deeply inspired by Shen Yun’s performance.